I love Fall. It is the BEST season, when nature creates its own fireworks display in the form of colorful leaves that hang around for our viewing pleasure before falling to the ground. 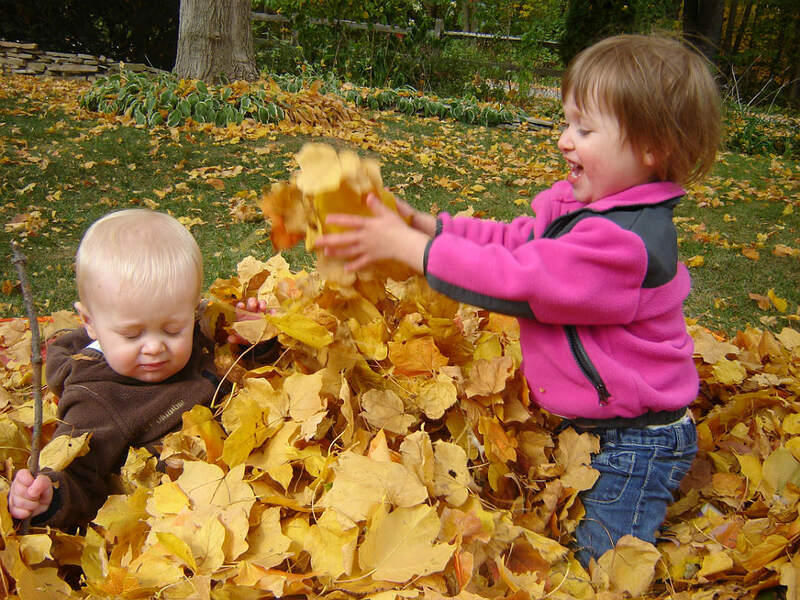 Sometimes I WISH leaves would disintegrate into thin air like fireworks to eliminate the constant raking we do in our yard….but I guess yard work is a great way to get outside, exercise, and enjoy the season – especially with my kiddos. We’ve been getting outside to enjoy the last few nice Fall days, and on a recent trip to the park, we saw another mom and son doing the same thing. While pushing my son in a baby swing and running over to help my daughter hang on the high bar, I couldn’t help but notice the other mom sitting on a swing using her smartphone. Playgrounds are for playing – not emailing, web surfing, texting, tweeting, liking, pining, or plain old calling. So get off your phones moms, and take time to enjoy your kids’ playtime set against the beautiful backdrop of Fall colors. Before we know it, the pleasant weather will be long gone, and we’ll all be yearning for that precious time outside with our kids. This entry was posted in Kids and tagged Family, Home, Mother, nature, parenting, Playground by Cathy O. Bookmark the permalink.